As a horse owner, you play an important role in controlling your equine companion’s weight. Sound nutrition management, a regular exercise programme and veterinary care are key to keeping your horse fit and healthy. Maintaining the ideal weight is not always easy, however. 2. Make changes in both the type and amount of feed gradually. Reduce rations by no more than 10% over a 7 to 10-day period. 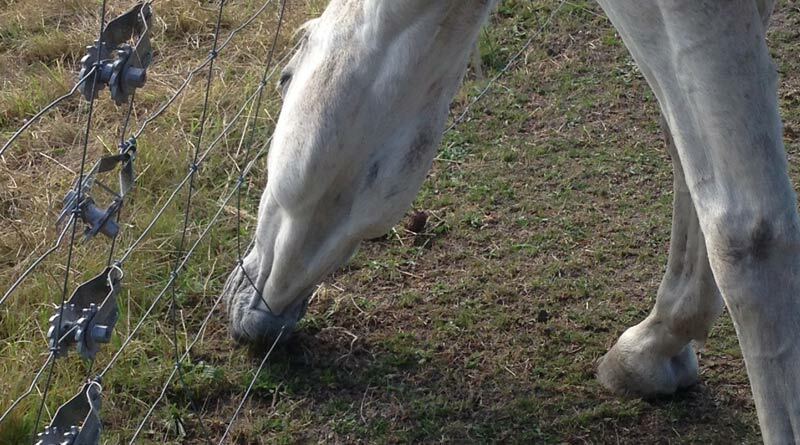 Keep the dieting horse separate from other horses so he doesn’t eat his neighbor’s portion, too. 8. Switch or reduce the amount of alfalfa hay fed. Replace with a mature grass or oat hay to reduce caloric intake. 9. Feed separate from other horses so the overweight horse doesn’t have a chance to eat his portion and his neighbor’s too. In extreme cases of obesity, caloric intake may also need to be controlled by limiting pasture intake. Once your horse has reached its ideal body condition, maintaining the proper weight is a gentle balancing act. You will probably need to readjust your horse’s ration to stabilize its weight. Exercise will continue to be a key component in keeping the horse fit. Because obesity can affect a horse’s health, communicate regularly with your veterinarian. Schedule regular check-ups, especially during the weight reduction process. Article courtesy of the American Association of Equine Practitioners (AAEP).